Fifty years ago today – October 25, 1964, in Mexico City – John Surtees clinched the F1 World Championship in his North American Race Team (NART)-liveried factory Ferrari. The finale had been a three-way fight between John, Jim Clark and Graham Hill. 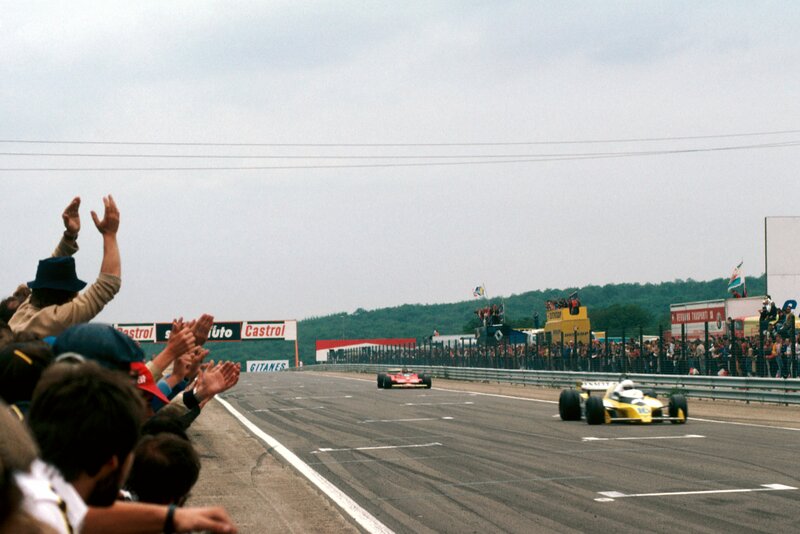 Jim looked to have the title won before he was forced to stop his Lotus 33-Climax with a seized engine on the penultimate lap; Graham Hill was flicked out of contention by Lorenzo Bandini, John’s team-mate; and so, with Lorenzo dutifully slowing on the final lap, John finished second to Dan Gurney to secure the title by one point. Lucky? Of course not. 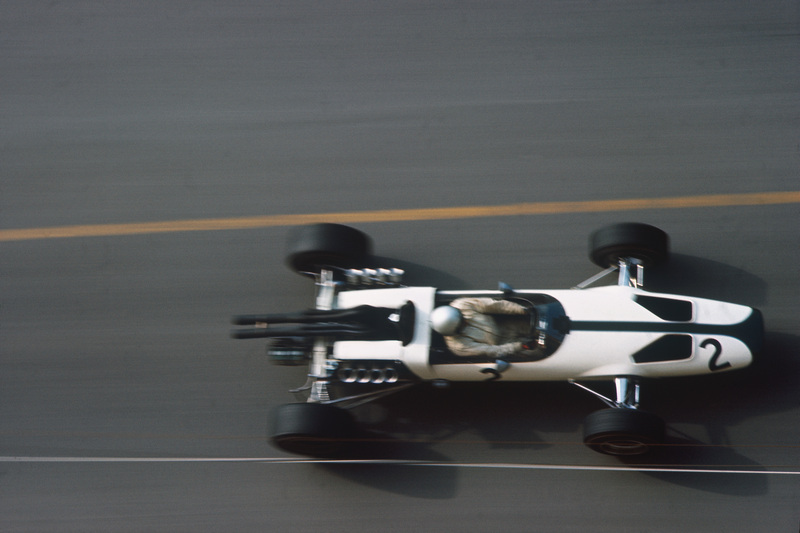 John had won that year at both the Nurburgring and Monza; as in life, there were causes and effects for everything that happened both to him and to his rivals. And so the flowers, and the champagne, were well-earned. Look closely at some of the photos in books and magazines, and on the net, from the Mexican GP celebrations and there in the background can be seen the Duke of Edinburgh. Amazingly, Prince Philip took time from a trade visit that week to attend the Mexican GP. There, amidst the vast crowds, he saw history in the making, for John became – and will no doubt remain – the only man ever to have won World Championships on both two wheels and four. 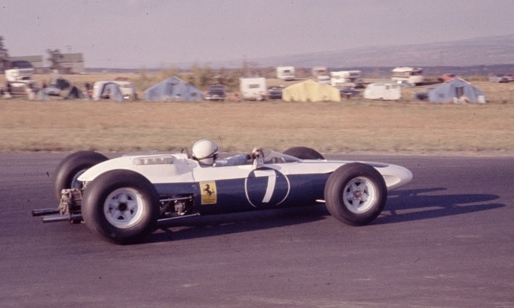 He would go on to win further races for Ferrari, for Cooper-Maserati and for Honda and – in non-championship F1 guise – with his own, brilliant Surtees cars; nothing, though, would compare with that achievement of October 25, 1964. 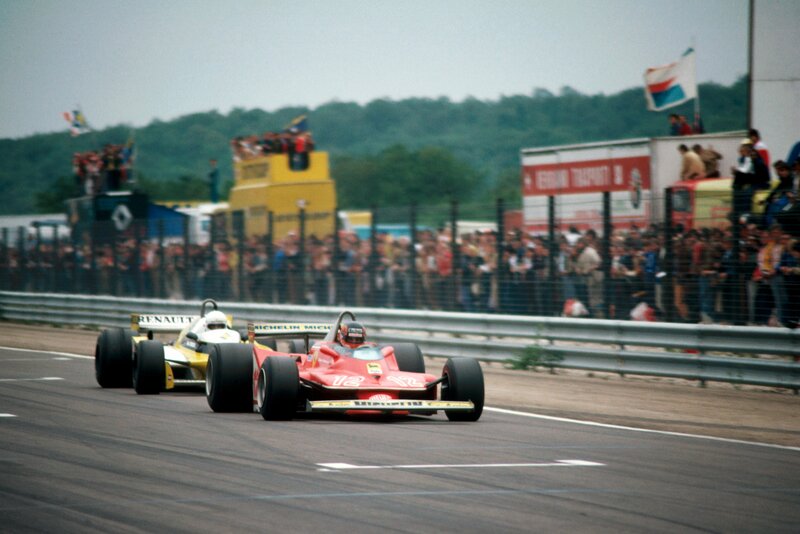 I was fortunate enough to see John race in F1, Tasman (2.5 litre Lola-Climax) F5000 and F2. 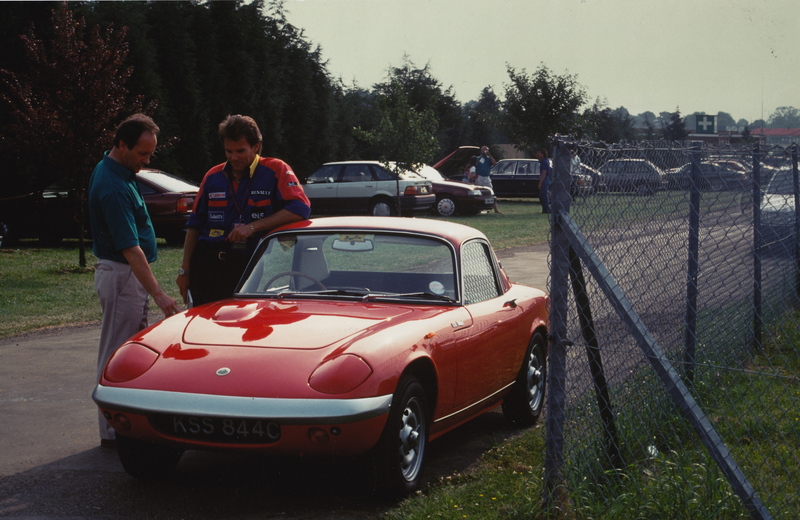 He was always a detailed artist and an engineer in the mould of Black Jack, Dan and Bruce – always immaculate with his car management, always prepared to work the all-nighter if circumstances so required. He’d drive – and then he’d invariably retire to the garage, there to fiddle with the engine or suspension bits, hustle the mechanics, get his hands dirty. Yes, he was demanding. No, he was not an autocrat. He just knew what he wanted and wouldn’t waste time with those who couldn’t deliver. His departure from Ferrari early in 1966 said it all: he probably would have breezed the championship that year if he hadn’t stuck to his principles. He didn’t like the way the team was being run, however, and so that was that. He just upped and left, jumping into an uncompetitive, overweight Cooper-Maserati. How quick was John? Remember only this: in the Cooper he immediately matched, and then exceeded, the pace of his team-mate, the very brave and very reflex Jochen Rindt. By season’s end he had transformed the Cooper into a race-winner. Mexico – again. John survived it all, too. In recent years he has become a tireless campaigner for the charity named after his late son, Henry. He is an icon of our sport and an example to all – particularly in the way he has confronted his personal tragedy with so much dignity and with so much courage. Yet in the big picture he remains largely unheralded. He has been awarded the Office of the Order of the British Empire but we have campaigned endlessly on these pages, and on our YouTube Channel, for John also to be given a knighthood. Many others have done likewise. Yet, to date, nothing has happened. The omission is embarrassing. I saw John yesterday, at the Memorial Service for Sir Jack Brabham at Silverstone. He was as bubbly as ever, a passionate car and motor-cycle racer who couldn’t talk enough about the sports he loves. I asked him how he was going to celebrate the 50th anniversary of his win. The photograph above of John was taken yesterday at the Memorial – and the one below comes from the Henry Ford Archives. It was taken at Watkins Glen, 1964, three weeks before Mexico, but it gives a true rendition of how the Ferrari looked in those gorgeous NART colours. 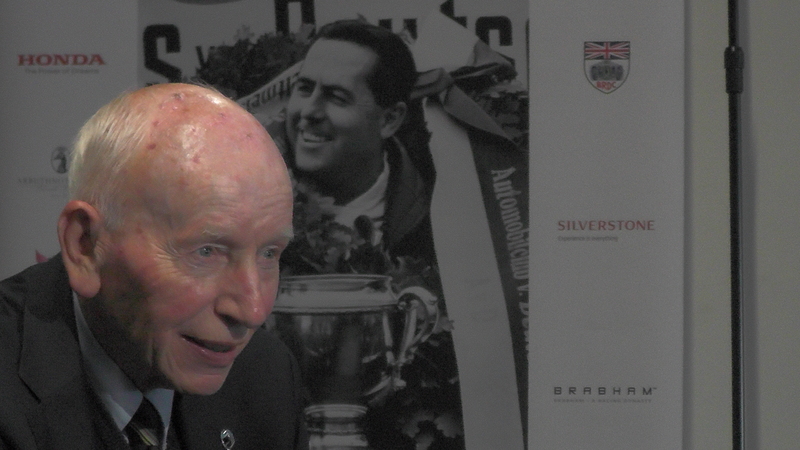 So: congratulations John Surtees. You are unique. You are a treasure. And may the sport do its utmost to ensure you are given the recognition you have so diligently earned. I admit it: I’ve been a Jack Hawksworth fan for a while now. I find it difficult not to respect a young driver who saw no prospect of raising serious GP3/GP2 money in Europe and thus focused 100 per cent on racing in America. It isn’t easy in the States; far from it. New culture. New types of racing. New places. There is, though, a “Road to Indy” scholarship system that rewards young drivers from the Pro Mazda (formerly Star Mazda) Series through Indy Lights and thence to IndyCar – a sort of Red Bull progression for those unfortunate enough not have Red Bull money. Jack, a quick karter and Formula Renault driver in England, had no compunction about making the change and sustaining his motivation. And this year, in IndyCar, he’s delivered. Driving for another true racer – Bryan Herta – Jack led races and scored a podium finish in Houston. Now the sky’s the limit, as he told me when we chatted a few days ago. …and Sochi. This week I caught up with Sean Kelly, an Englishman who happens to live in San Diego but who also stands as the world’s number one F1 statistician. What does that mean exactly? It means combining an intense passion for the sport with a clear head for stats – and then turning that into an industry. Sean works for several of the world’s leading F1 TV networks (including NBC) – which is why he was in New York prior to Sochi. I hope you enjoy our chat. It’s free-ranging, in the usual way of things, but I think Sean also highlights some fascinating trends and detail. Apologies, first of all, for being away from this site for a little bit of time. I’ve been focusing on our fab new studio for The Racer’s Edge (see video below! ); and, in addition, there were a couple of systems glitches with WordPress. Anyway, hopefully now all is in order. We’ve got lots of video out there on our YouTube channel (www.youtube.com/peterwindsor) and I’ll be posting some video highlights here, too – plus a little more besides. Subscription to the YouTube channel is free, so please go ahead and sign up with the widget here for your email notifications about all the new posts as they happen. Here’s our latest video, introduced from our studio within the showroom of Joe Macari Performance Cars, near Wimbledon, London. It’s a breathtaking site full of exquisite machinery, some of which is red, some of which is eclectic. I love it there – and I aim to be sharing much of that passion with you. In this vid, Rob Wilson gives his expert assessment of the Lewis-Nico battle in Japan; we talk about the amazing Daniel Ricciardo – and we both look back at the fast, irascible but always charming Italian that was Andrea De Cesaris. 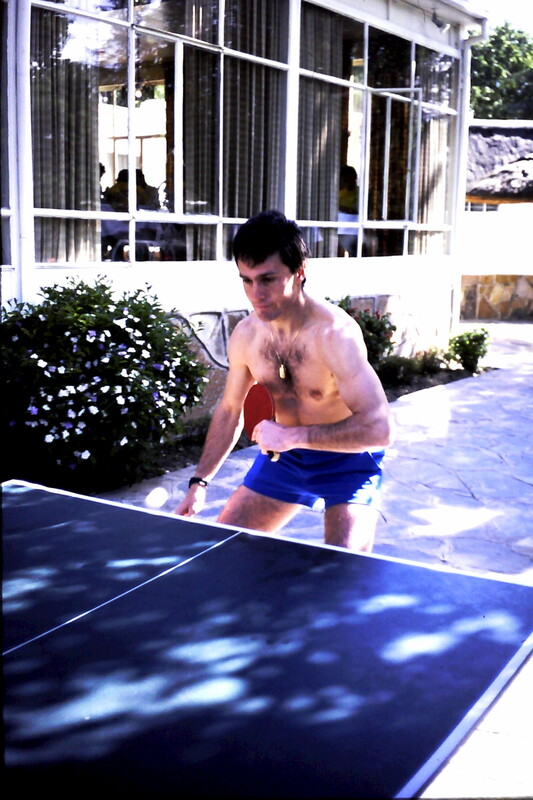 This is Andrea playing table-tennis at the Kyalami Ranch in 1984. Fit guy, too. Sadly he lost his life in a motor-cycle accident in Rome last weekend.